Augmented Reality (AR) has a lot of interesting and practical use cases. One of them is location. 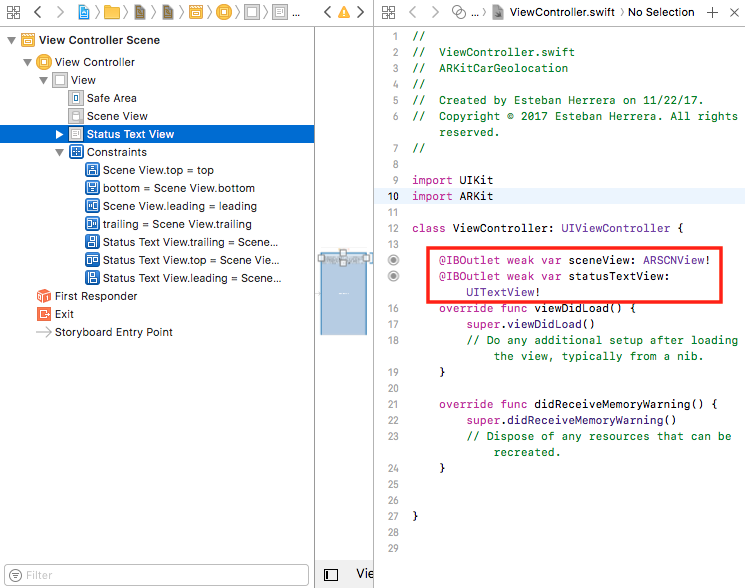 With iOS 11, the ability to use ARKit to create AR apps and combine them with multiple libraries has opened a lot of possibilities. 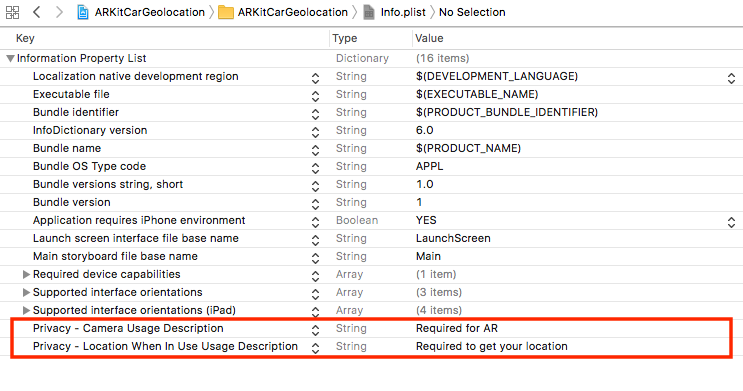 In this tutorial, we’re going to combine the power of ARKit, CoreLocation, and Pusher to create a geolocation AR app. Let’s think of a taxi service. Some services allow you to track on a map the car that is going to pick you up, but wouldn’t be great to have an AR view to see the route of the car and how it gets closer to you? As you can see, the information to position the car in the AR world is not always accurate, both on the CoreLocation side and on the ARKit side, however, for this use case, most of the time it will be enough. 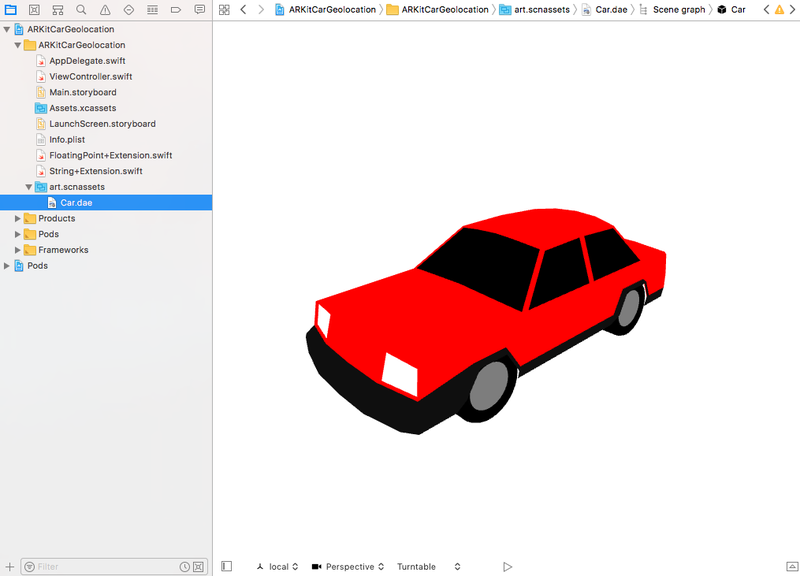 You can find free 3D models on sites like Free3D, Turbosquid, or Google’s Poly. The most common format is OBJ (with the its textures defined in a MTL file), which can be converted to DAE with a program like Blender. For this project I chose this model, which it’s available in DAE format. The math for this project is a bit heavy. I’ll dedicate more time to explain the operations related to geolocation than the ones related to rotating and translating a model with ARKit. 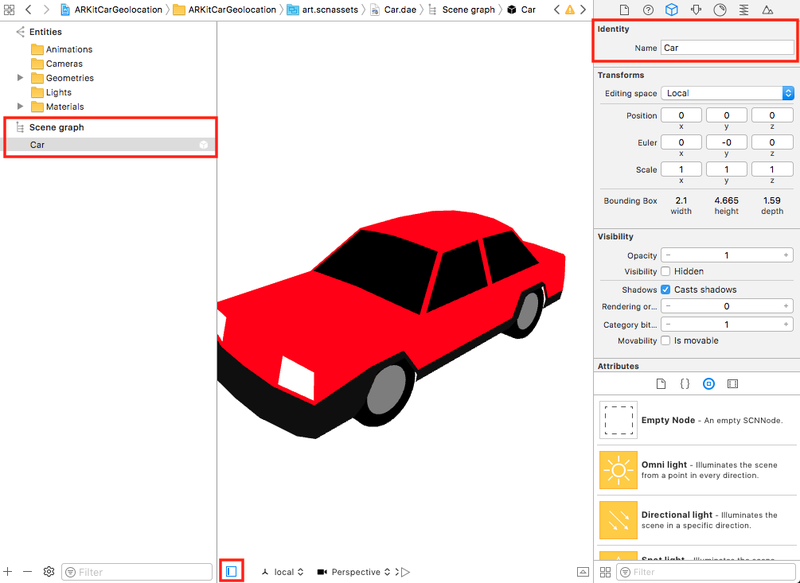 If you don’t know about transformation matrices or how to convert your 3D model to the DAE format, take a look at my previous tutorial about ARKit. Let’s start by setting up a Pusher app. Through this app, the drivers will send their locations as latitude/longitude coordinates along with the direction they’re heading (in degrees) as a client event. 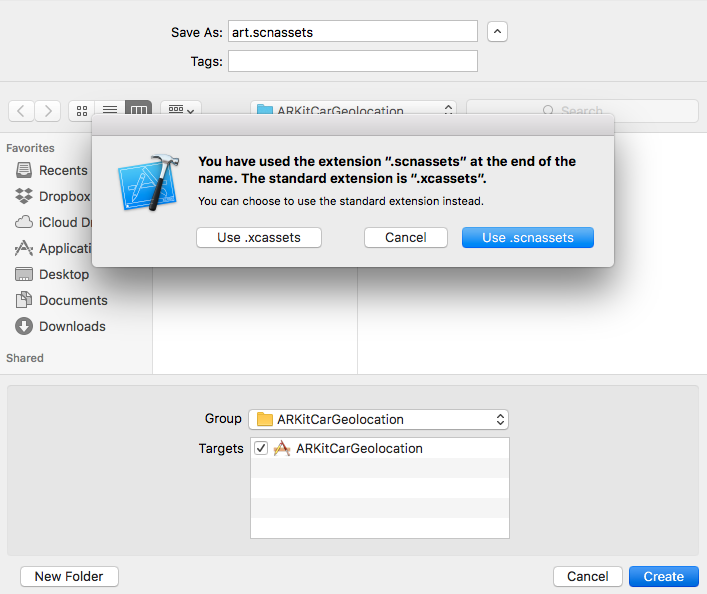 But let’s not get ahead of ourselves, let’s set up the Xcode project first. We’re choosing this option because we are going to manually set up an AR view along with other controls. If you build your project at this point, a couple of warnings may show up, but the operation should be successful. Next, select the file Info.plist, add a row of type Privacy - Camera Usage Description (NSCameraUsageDescription) and give it a description. 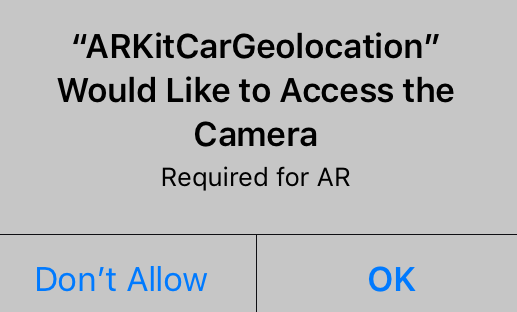 This is required for ARKit to access the camera. Now let’s build the user interface. 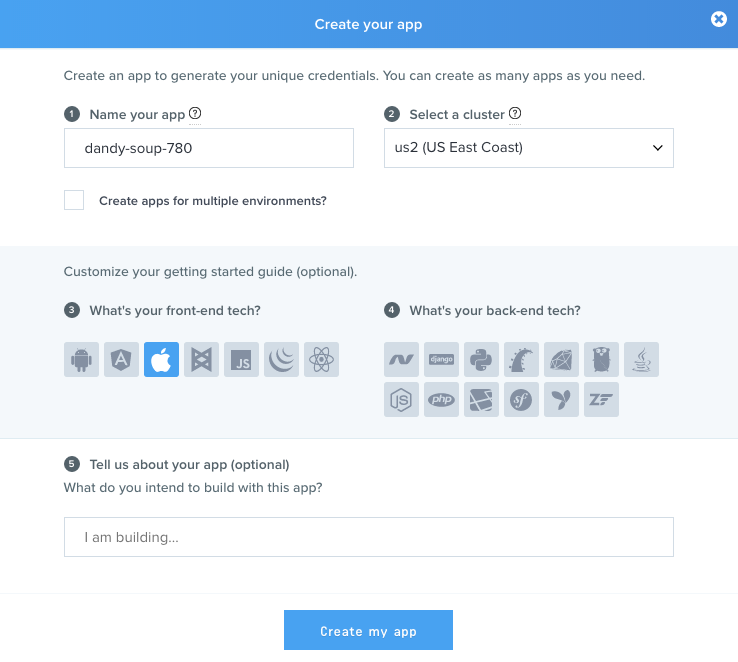 You’re ready to start coding the app, but before that, let me explain what needs to be done. However, if you’re already familiar with geolocation concepts or if you’re not interested, feel free to skip the next section. Imagine you are standing at some point in the world. It doesn’t matter where or in what direction you’re looking at. Your location is given by two numbers, latitude and longitude. Latitude is the distance between the North or the South Pole and the equator (an imaginary circle around the Earth halfway between the poles). It goes from 0º to 90º for places to the north of the equator, and 0º to -90º for places to the south of the equator. Longitude is the distance from the prime meridian (an imaginary line running from north to south through Greenwich, England) to a point at the west or east. It goes from 0º to 180º for places to the east of the prime meridian, and 0º to -180º for places to the west of the prime meridian. 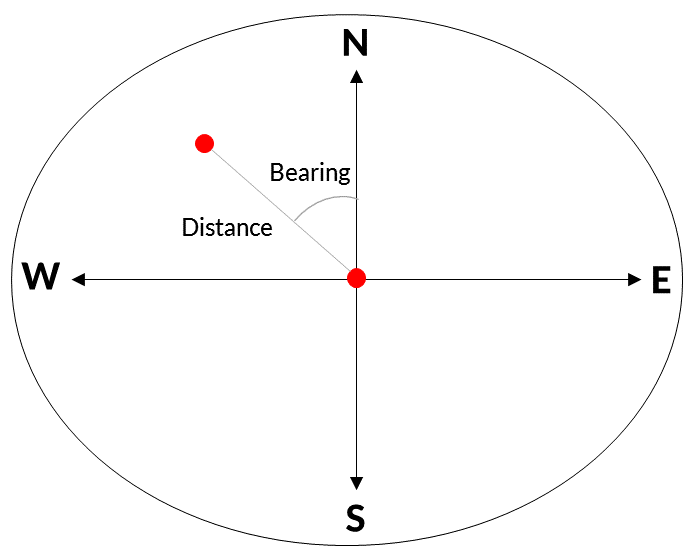 The angle between the north (or south) line of the Earth and the line connecting you and the driver, which is called bearing. The distance will tell you how far you have to position the 3D model in the AR world. The bearing will help you create a rotation transformation to position your model in the right direction at the above distance. If we were talking about a simple x and y coordinate system, we could get those calculations by applying the Pythagorean theorem and some simple trigonometry, with sine and cosine operations. But we are talking about latitudes and longitudes of the Earth. And as the Earth is not a flat plane, the math gets more complex. 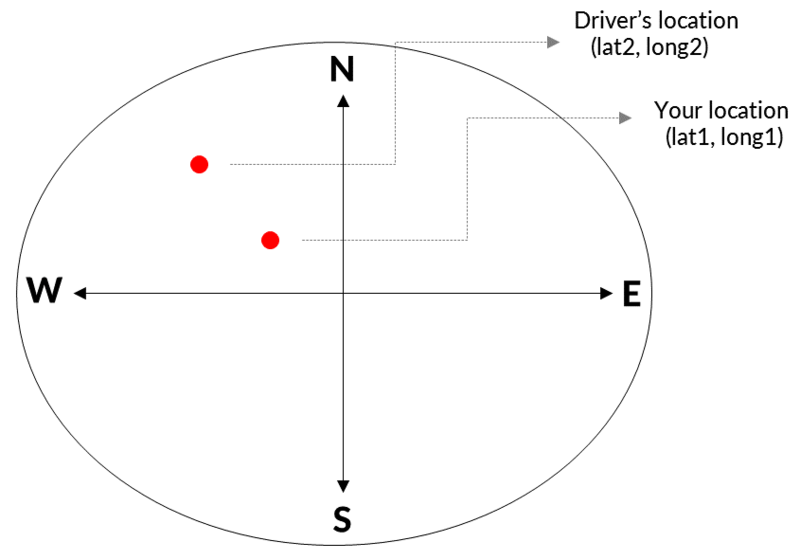 The distance is calculated by calling just a method of the class CLLocation. It uses the Haversine Formula which, from two different latitude/longitude pairs of values, calculates the distance by tracing a line between them that follows the curvature of the Earth. Another thing to consider is that for the matrix transformation, you’ll have to use radians instead of degrees as angle units. As the length of an entire circumference is equal to 2π radians ( 360º), one radian is equal to 180/π degrees. 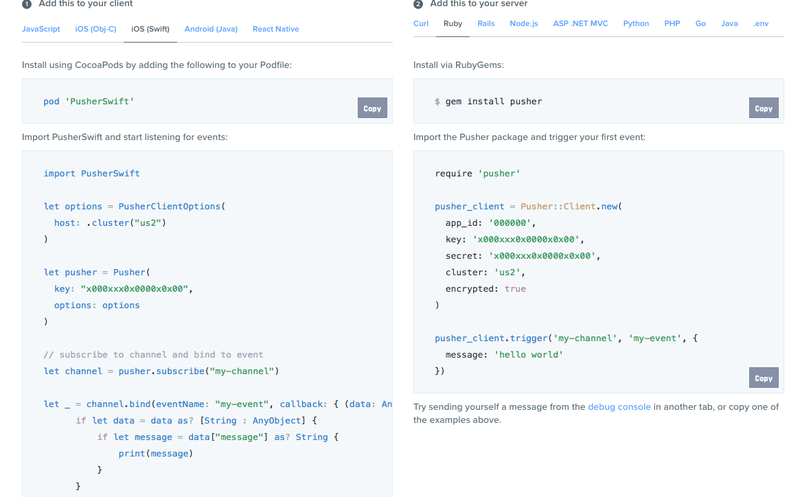 Using Pusher, the drivers will publish their location and direction they’re heading in realtime. Using CoreLocation, the AR app is going to get your location. It will also listen to the driver’s location updates. When a location update is received, using the formulas explained above, the app will place a 3D model of a car in a position relative to your location inside the AR world, and it will orient the model to the same direction the driver is heading. The app is only going to get your location once, so it assumes your location is fixed (which is true most of the time). In addition, an arrow emoji (⬇️) will be shown on top of the model at all times so you can spot it easily, and the text view you added in the last section will show the status of the app and the distance between you and the car. Now that you know what to do, let’s get into the code. Let’s start by defining two extensions. You’ll use this extension to create an image out of the arrow emoji (a string). It creates a rectangle of width 100 and height 100 , with a transparent background, to draw the string inside of it with a font size of 90. Next, let’s add some instance variables. 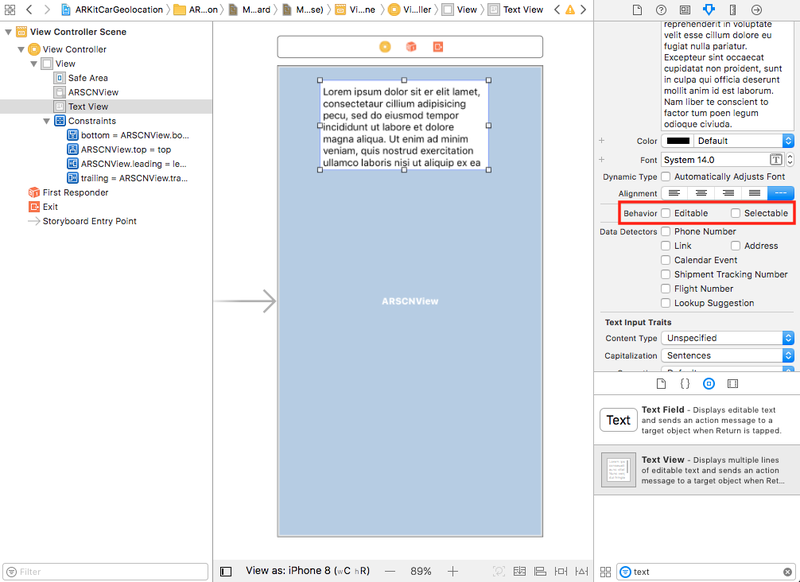 text += "Distance: \(String(format: "%.2f m", distance))"
Whenever a new value for the distance or the status is set, the text view will be updated. Notice that the distance is calculated in meters. Why? To calculate the orientation (rotation) of the model in the best possible way. Ideally, the driver’s device will always give you the correct heading so you can take the first received reading, rotate the model in that direction, and then calculate the next rotations relative to the first one. However, if the first reading is wrong (which happens sometimes), the next rotations will be wrong even if the rest of the readings are correct. So you always need to calculate the orientation as if it was the first time you rotate the model, because once you rotate the model a certain angle the following rotations will be done relative to that angle. Resetting the rotation to 0º won’t work either because of the way transformations work (matrix multiplication). Notice the value of the authMethod option. You’ll be receiving the updates through a private channel. They need to be authenticated by a server. 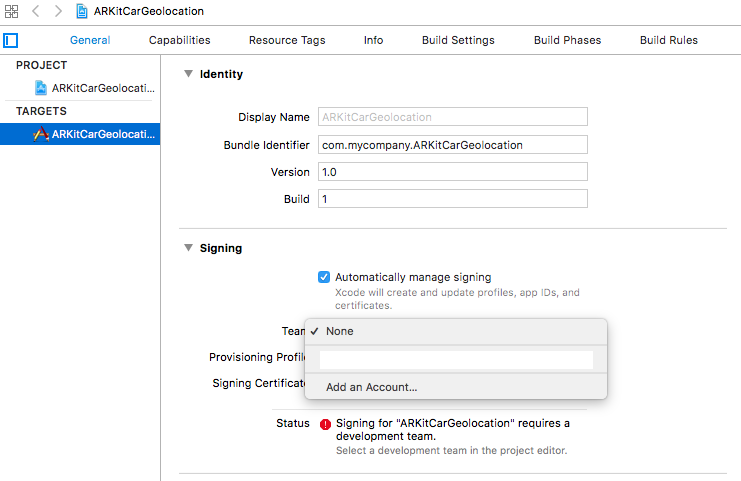 However, at development time, you can use the inline option to bypass the need to set up an auth endpoint as part of a server. You can learn more about the object’s options here. 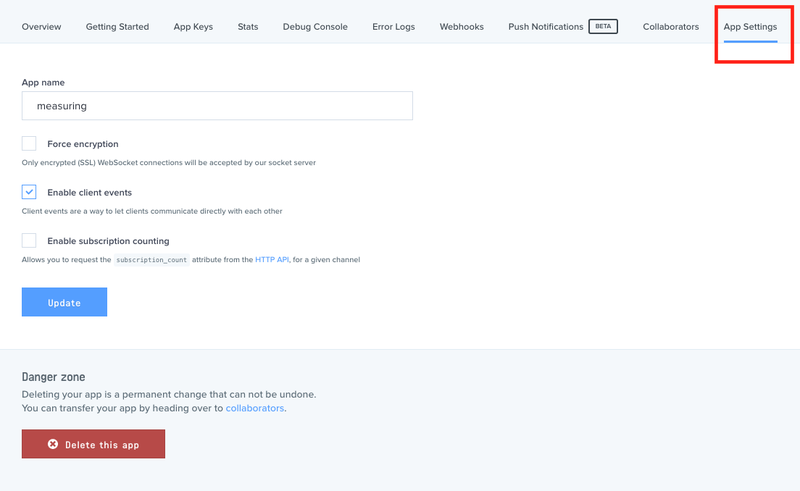 If you need it, you can learn how to create an authentication endpoint on this page. 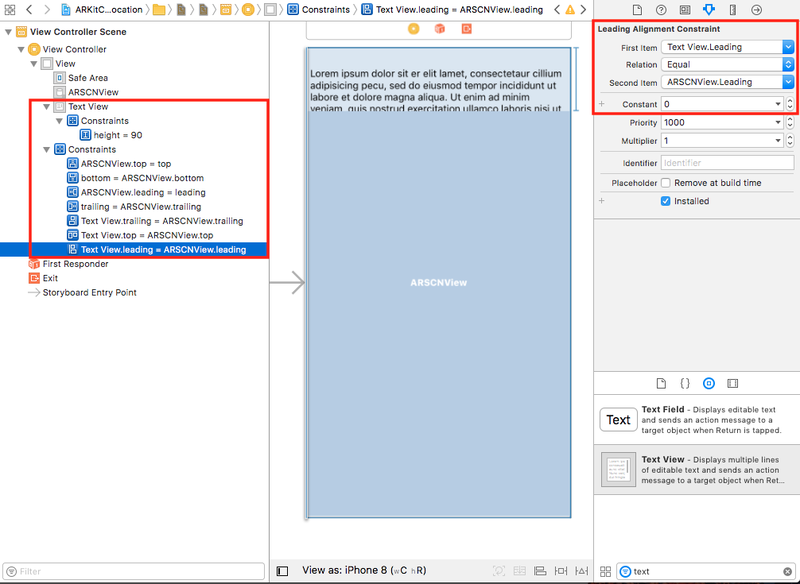 status = "Getting user location..."
The option gravityAndHeading will set the y-axis to the direction of gravity as detected by the device, and the x- and z-axes to the longitude and latitude directions as measured by Location Services. status = "Connecting to Pusher..."
self.status = "Driver's location received"
status = "Waiting to receive location events..."
let modelScene = SCNScene(named: "art.scnassets/Car.dae")! self.modelNode = modelScene.rootNode.childNode(withName: rootNodeName, recursively: true)! Notice that there’s no need to create an ARAnchor to add the node as a child of it. An ARAnchor gives you the ability to track positions and orientations of models relative to the camera. But in this case, it’s better to work with the child directly. 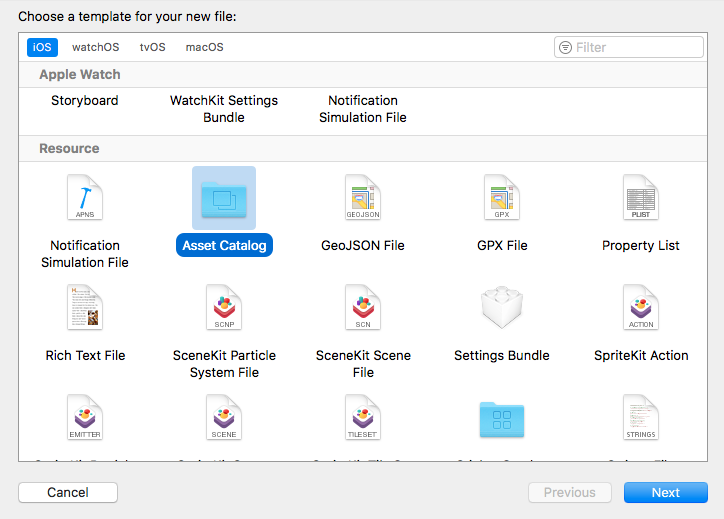 Mostly because you cannot delete or change the position of the whole ARAnchor manually -only of its children. The order is important because of how matrix multiplication works (a * b is not the same than b * a). I got these values from trial and error. They will vary depending on the model you’re using. You use an identity matrix (you don’t have to use the matrix of the camera or something like that, the position and orientation of the driver are independent of your position and orientation. Using an identity matrix, get a rotation matrix in the y-axis using that bearing. The distance is given by the z-axis, so create a four element vector with the distance in the z position to get a translation matrix. Multiply both matrices (remember, the order is important) to combine them. Get the final transformation by multiplying the result of the previous step with the matrix passed as an argument. 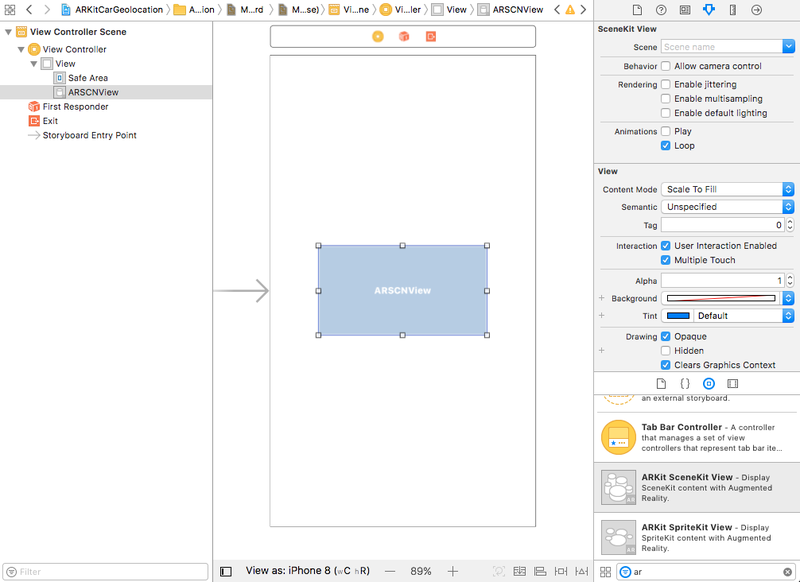 About how to rotate in the y-axis, the method returns the inverse of the matrix because rotations in ARKit are counterclockwise. Here’s an answer from Mathematics Stack Exchange that explains rotation matrices pretty well. And that’s it, time to test the app. And wait for a few seconds so the app can get the location and connect to Pusher. 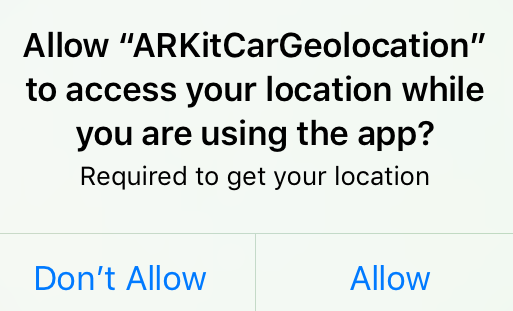 To test it, you’ll need someone that publishes location events while driving. 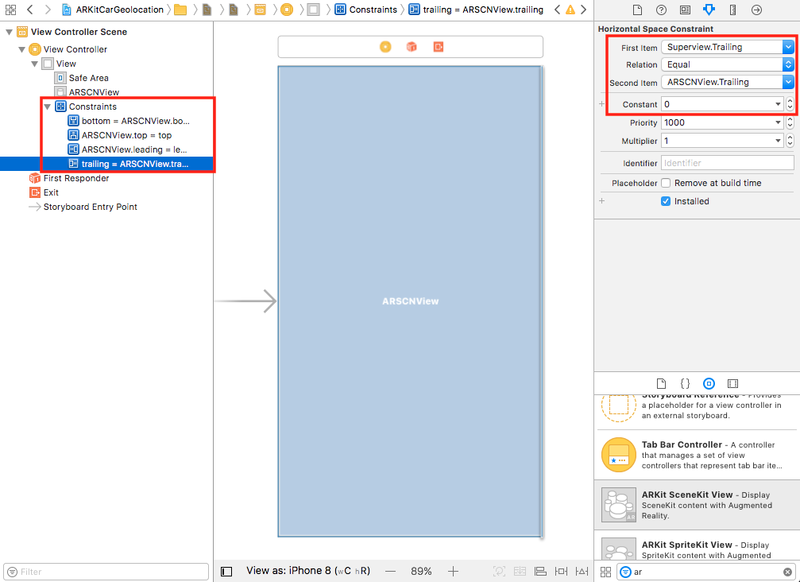 On this GitHub repository, you can find an app for iOS that publishes location events. 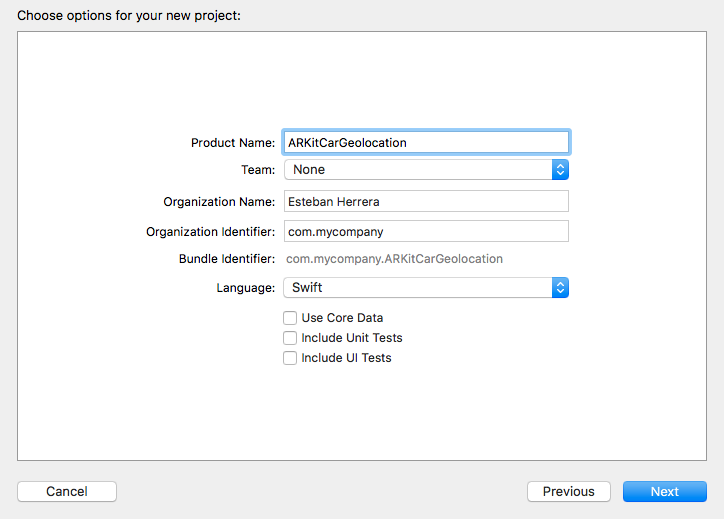 It uses CoreLocation, and the code is pretty similar to the one shown in the previous section but it requests the location information every one or two seconds. As a note, for the heading measurement, it’s important to hold the device in the direction the driver is heading. 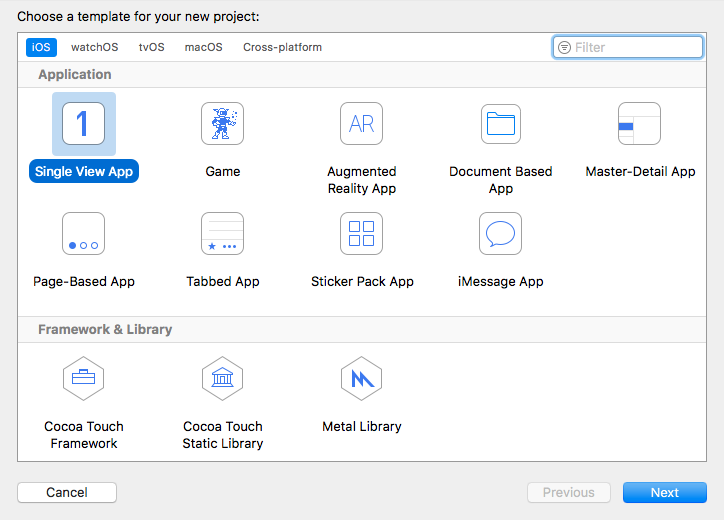 You have learned how to combine the power of ARKit, CoreLocation and Pusher to create an AR app. 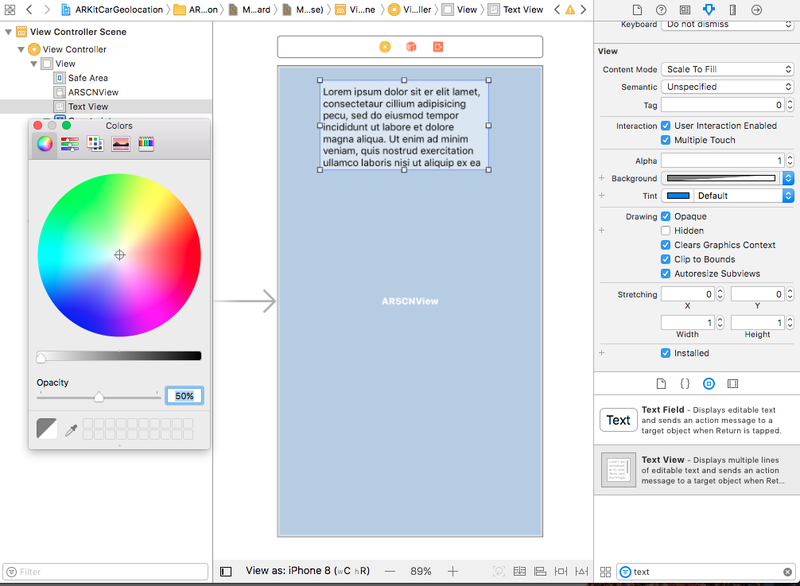 Adding more information to the screen. 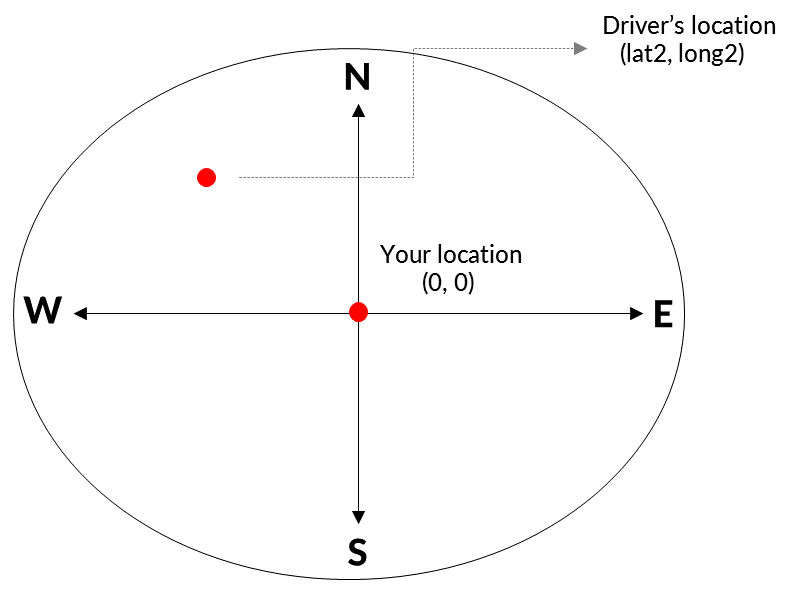 For example, you can convert the coordinates of the driver to an address. Adding a map so, in addition to seeing the 3D model moving in the world, you can see in which street the car is at any given time. Change the mechanism to get the car orientation. For example, by using deltas of the location. However, keep in mind that the app depends on the quality of the information received. In my tests, for a few seconds after starting the driver’s app, the heading information was completely wrong, and overall, the position was off a few meters. ARKit occasionally gets confused too. Sometimes this can be a problem, and it is another area of improvement. However, we’re just at the beginning. Without a doubt, these frameworks will be improved over time.